Hall of the Mountain King: Review: Mat D and the Profane Saints, "Holyoke"
The hard-luck theme continues throughout the record, and it suits DeRiso’s vocals perfectly. Album opener “Half Mile Holler,” a gritty and sinister number, finds him delivering the vocal in almost a chant over an acoustic guitar and banjo. Those quietly heavy pieces are really where Holyoke shines. Album closer “Dirt Road to Hell” returns to that sound, though DeRiso gets a little more support on it from bandmates Kurt Mullins on electric guitar and Jeff Deignan on drums. There’s a bit of blues and a whole lot of dark Southern rock in the track, which ends the album as strongly as it began. But don’t get it wrong: These guys can rock, too, and there are plenty of more upbeat pieces — though lyrically the content tends to be dark and gritty even on those. “Carry Me to Canaan,” one of the strongest songs of the electric set and, indeed of the whole album, brings a Red Dirt feel to the sound with a little bit of alternative rock. It’s memorable with an infectious vocal melody and more strong vocals from DeRiso. There are a few jukebox rockers to be found on the record. “Tin Can Soul” stomps with a gospel-influenced rhythm and is one of the most upbeat tunes here, at least musically. It makes you want to move. “Sawmill Road” has a touch of Creedence Clearwater Revival and a healthy dose of rockabilly, while “Roadhouse Shrine” is, fittingly, a roadhouse rocker that finds DeRiso delivering the lyrics in a gravelly growl. While DeRiso’s voice and lyrics command the attention on this record, his bandmates do get their time to shine, particularly Mullins, who cranks out some tasty guitar work on the title track. The song has more of a rock feel than most of the rest of the record, and DeRiso matches that vocally with yet another style. Lyrically, the songs on Holyoke are mostly dark, gritty and real, but quite often the music brings an element of uplift to them. So no matter how grim the subject matter, things never really become depressing. The characters in the songs are not necessarily downtrodden and angry at life. It’s just how it is, and they persevere – pretty much how people in the real world handle things. 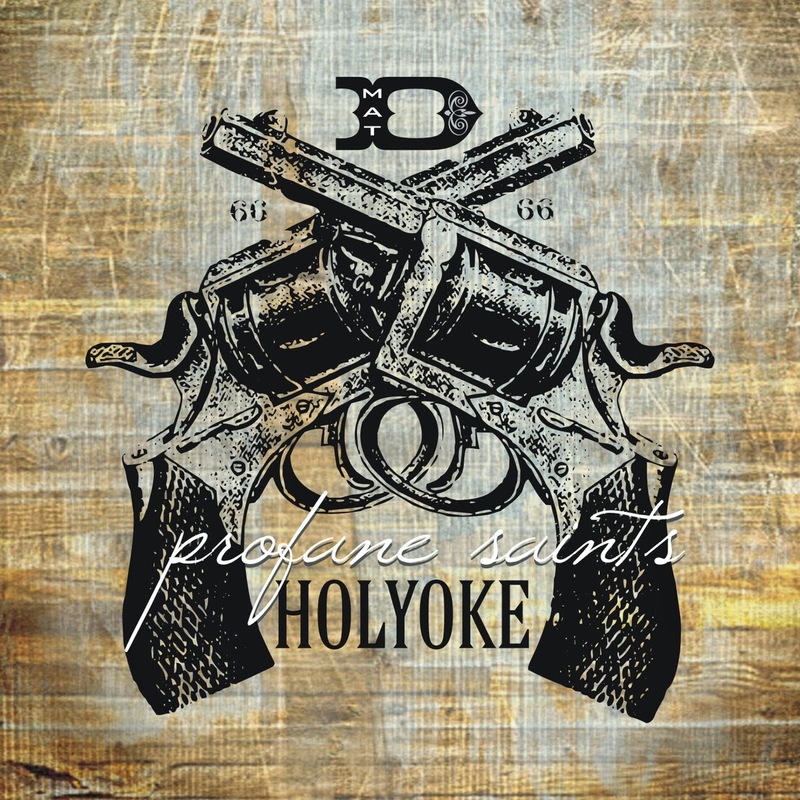 Holyoke is, apparently, the seventh release from Mat D and the Profane Saints, and if those other records are anywhere near as good as this one, it’s a crying shame that the world at large isn’t familiar with these guys yet. It’s time for that to change. Country, Americana, Southern rock, call it what you want to call it. I’ll just call it badass.